I started my Catfish farm on 4th April. Since then, the fishes have been doing great if not for a few challenges here and there. I'm going to start by listing out some of my challenges followed by how I solved them. I started out my catfish farm with 75 fingerlings. I put them in the pond without covering the top of the pond with a net. After the second day, I counted just to find out I have only 73 fishes left. I was shocked, because I didn't know what happened to the fishes, moreover I didn't see them on the ground(in case they jumped off the pond). I ignored the signs since I didn't know what was wrong. Two days after that day I recorded that another 3 fingerlings were lost, followed by another 5 fingerlings and it continued till I was left with only 54 fishes. Now, imagine those losses, not even by fish infection, stress or other diseases but by a thief called prey. Such losses could be so discouraging to a newbie farmer. 2. 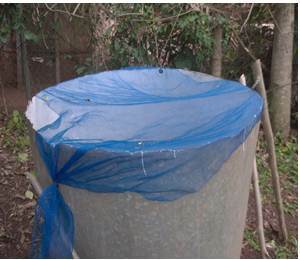 Apply Snake repellant chemical around your fish farm to drive away snakes. 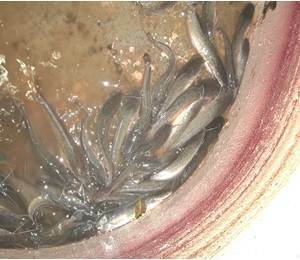 At a point in the course of my fish farming, I noticed signs of infection in a fingerling. I caught it and examined it, and found out that the gills were already exposed and the gill fins were damaged. I knew from experience and examination that it had an infection so I quickly isolated it from the pond and left it to be treated. Point to note: Always be observant for any signs of infections in your fishes and treat them immediately, or you may lose all your fishes. Too dirty pond water: I observed that if my pond water becomes too dirty, the fishes start gasping for air on the water surface and feed consumption is also reduced. Too dirty pond water brings about a foul smell in the pond. Another thing is that toxic compounds start accumulating in the pond water when the pond is dirty. Infection might also affect your fishes when you let them stay in the dirty water for so long. The solution to all this is to constantly change your fish tank water. What will yo do if your catfish feed finishes on a Saturday evening and you don't have the feed for feeding your fishes till you buy feed again? I am not saying that you should make provision for 'feed scarcity', but sometimes you just run out of feeds for your catfish. Such scarcity periods are very bad for your fishes since they will have to go hungry till you provide feed for them. So you should always be conscious of your feed supplies to avoid your fishes going hungry. Stay tuned to this blog as I will soon publish an article on how to prepare fish feed locally. Does any one have any challenges with catfish farming please tell me in the comment box.